There’s nothing I love more than making holiday gifts for my friends and family. A big batch of something, like cookies or hot cocoa mix, is easy to divvy up and dole out for the holidays. 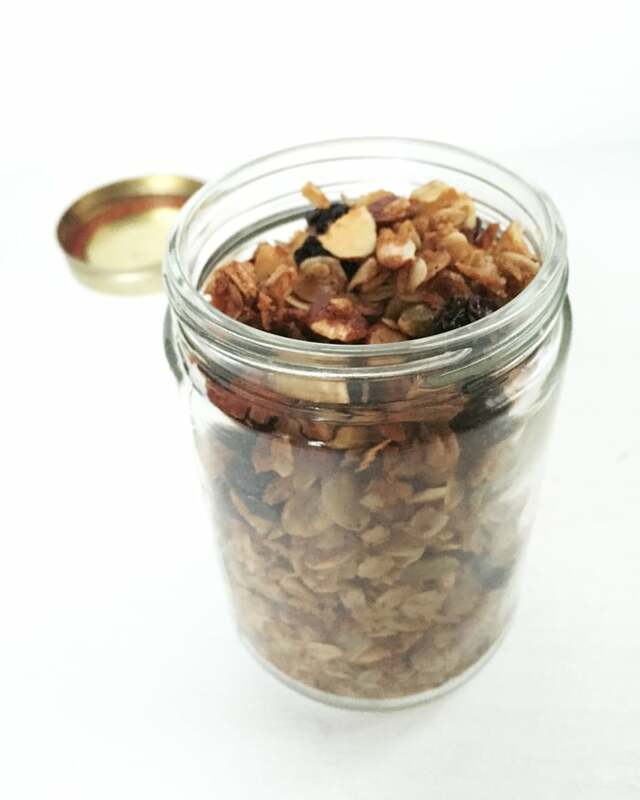 This year, I’m making this Maple Nut Granola. This is the kind of food gift people can use! 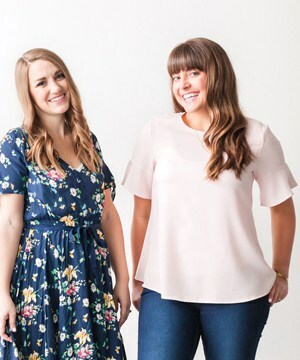 Plus, you can use these super cute, free labels! This is also great when you have holiday guests – it’s always nice to have a few breakfast options. 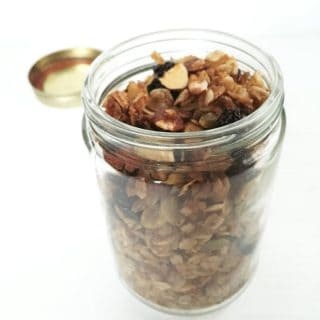 I like to this make granola ahead of time (or even the day they arrive — it makes the house smell divine!) and offer it for breakfast with milk, yogurt and honey. Way better than the box, and it’s easy to share. Preheat oven to 325 degrees. Line a baking sheet with parchment paper. In a large bowl, stir together oats, almonds, pumpkin seeds, raisins, cinnamon, nutmeg and salt. Set aside. In a small saucepan over medium-low heat, combine oil, maple syrup and sugar. Bring to a boil, then remove from heat. Stir in vanilla. Drizzle syrup over oat mixture; toss gently with a wooden spoon. Pour granola onto sheet pan and spread evenly. Bake, stirring occasionally, until golden (about 25 minutes). 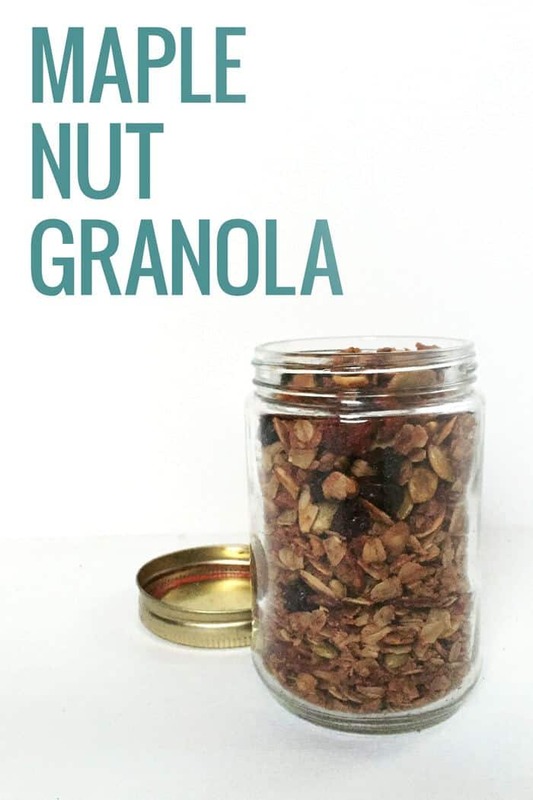 Let granola cool completely on a wire rack. Break it into chunks and store in an airtight container. Yum! 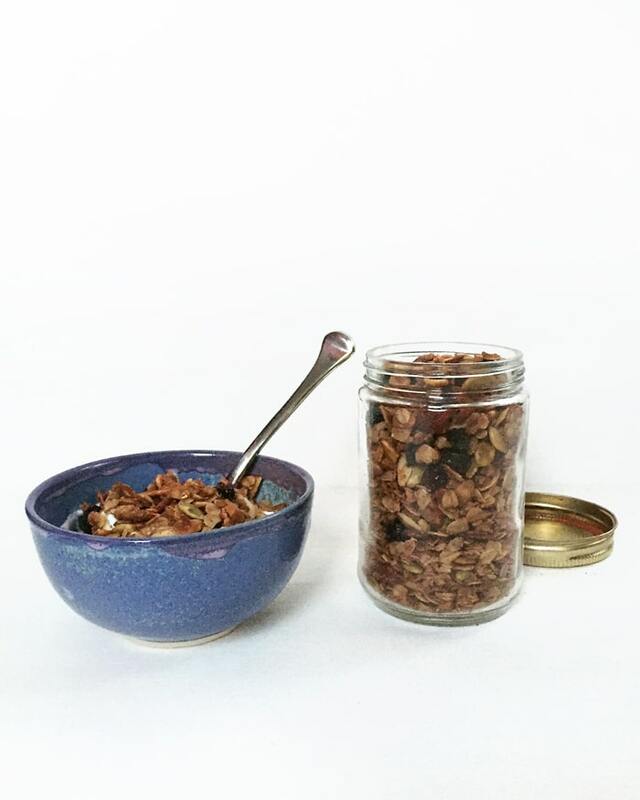 Have you ever made homemade granola? « Christmas Jar Labels – Free Printable!